Home»Blog»BackWPup Campaigns»We celebrate 4 million BackWPup downloads! We celebrate 4 million BackWPup downloads! We want to celebrate! Because with our backup plugin BackWPup, we reached the incredible number of 4 million downloads! This has only been possible because of you, because of your trust and your feedback – and we want to say thank you for that! With a 40% BackWPup discount on BackWPup PRO from April 25th to May 1st, 2017! 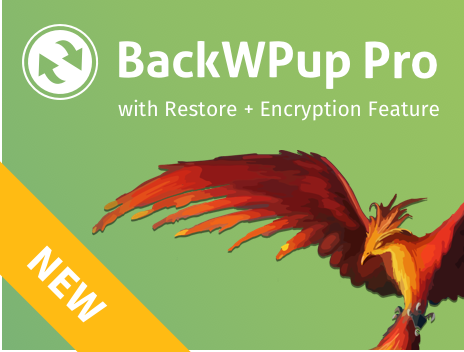 Buy BackWPup PRO with 40% celebration discount now!